Additional requirement for deputations: 4. Holding analogous posts on regular basis. OR 03 years regular service in the Pay Matrix Level-8 (47600-151100) or equivalent or above. 1. Excellent verbal and written communication skill. 2. Computer literacy. 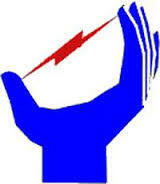 Uttarakhand Electricity Regulatory Commission (UERC) recruits Accounts Officer posts. B.Com, MBA, PG Diploma, or CA / ICWA candidates can apply. Notification 03/9-3- URJA/2002 dated 1st January, 2002 under the Electricity Regulatory Commission Act, 1998.